QUOTE | “Essentially, it’s made [our Xbox business] worthless overnight… Effectively overnight they’ve wiped massive value off our company and made it not worth doing. Why should we support them and sell their consoles and accessories if we’re going to get very little out of it? We don’t make anything off their digital selection. It’s pretty pointless. We might as well go where we’re supported, which is Sony.” - Like many independent game retailers, Stuart Benson of Leicestershire’s Extreme Gamez is not a fan of Microsoft including all its new first-party titles in the Game Pass digital subscription service. 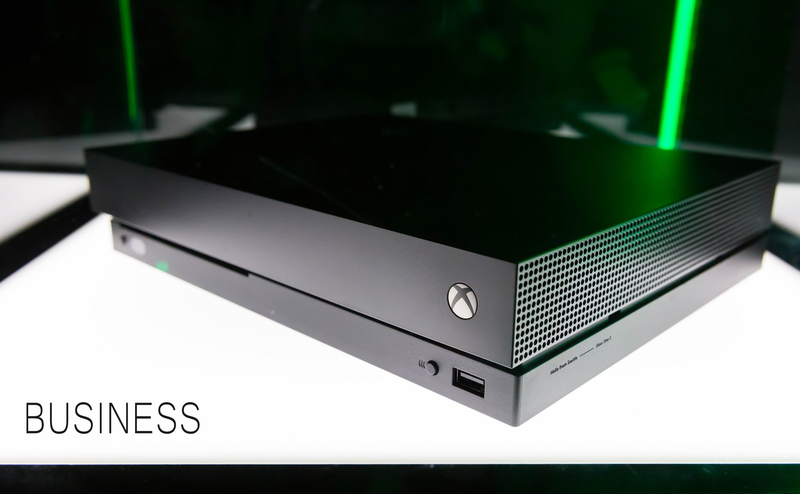 QUOTE | “The response to the news thus far has been positive.” - A company spokesperson offers Microsoft’s assessment of how retailers like the Game Pass changes. STAT | 7 million - Number of Star Wars: Battlefront II copies sold during the holiday quarter, 1 million less than Electronic Arts had expected, as revealed during the company’s quarterly earnings Tuesday. STAT | $131.01 - Electronic Arts’ share price at one point on Wednesday, a new all-time high for the publisher. QUOTE | “The Game Developers Choice Awards Advisory Committee, who vote on the Special Award winners for each show, have made the decision not to give out a Pioneer Award for this year’s event, following additional feedback from the community. They believe their picks should reflect the values of today’s game industry and will dedicate this year’s award to honor the pioneering and unheard voices of the past.” - The Game Developers Conference confirms it will not be giving Nolan Bushnell the Pioneer Award at this year’s event after backlash over the Atari co-founder’s reported history of sexist behavior. QUOTE | “We apologize to everyone disappointed by this delay. While we had hoped to have the game out sooner, we require a little extra time for polish.” - Rockstar Games, in a blog post announcing it delayed Red Dead Redemption 2 for the second time. Previously expected this spring, it is now set for an October 26 debut. QUOTE | “Ever since my appointment as President and CEO in April 2012, I have stated that my mission is to ensure Sony continues to be a company that provides customers with kando - to move them emotionally - and inspires and fulfills their curiosity.” - Kaz Hirai announces he is stepping down from his position as president and CEO of Sony Corporation at the end of March, after a successful six-year run atop the company. QUOTE | “Theoretically, if you work with an investor you do have the creative freedom, but the problem is that being successful in the way that they define successful means following certain rules. Which is why a lot of those games are pretty similar.” - Michael Shade, CEO of PC and console developer Rockfish Games, shares a hard lesson from the 10 years he spent on his previous company, mobile game developer Fishlabs. QUOTE | “It’s really not going too far to compare this to the invention of the world wide web.” - EverdreamSoft CEO and founder Shaban Shaame is convinced blockchain tech will change the way we live, which is why his studio is using it for its CCG Spells of Genesis. QUOTE | “The comments are filtered for each user, based on social signal, which allows us to create the world’s most friendly and personal experience for live broadcasting.” - Caffeine co-founder Ben Keighran tries to explain how his new streaming platform will be different from Twitch.